Popular Internet radio service Pandora on updated its iOS app on Monday, bringing a new feature that automatically pauses music playback when a user mutes their iPhone, as well as a number of performance enhancements. With Pandora Radio version 4.4, music playback pauses whenever a user mutes their iPhone, a convenient feature when listening on the go. In addition to the new auto-pause feature, Pandora has improved playback buffering for stutter-free streaming for areas with weak cellular reception. The update also fixes issues with in-app links, which now works "just as well" as URLs on Pandora.com. Finally, the app contains bug fixes and performance improvements. 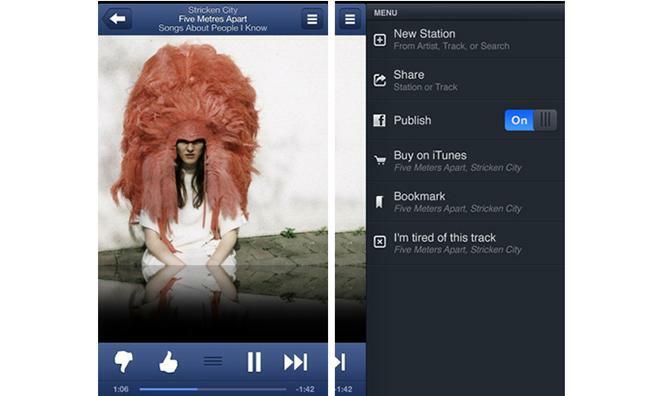 Pandora Radio version 4.4 comes in at 17MB and can be downloaded for free from the App Store.